Important note: our view of this has moved on some since this post was first written. We would now say that the disciples’ questions were really about just one event and that the ‘end of the age’ Jesus is speaking of is the end of the Old Covenant age and the ‘age to come’ is the New Covenant age. This means that Jesus is not changing the subject from Matt 24:34 onwards. ‘Like the days of Noah’ is a description of the times leading up to the fall of Jerusalem in AD 70. However, there is still an application of this for us, as the enemy continues to seek to destroy the seed even today. There is nothing in what Jesus says about the ‘last day’ in Matthew 24 (or in John 6:40) that we would now see as referring to the last day of history. The ‘last day’ is the end of the Old Covenant age. Below is the original post, as first published. 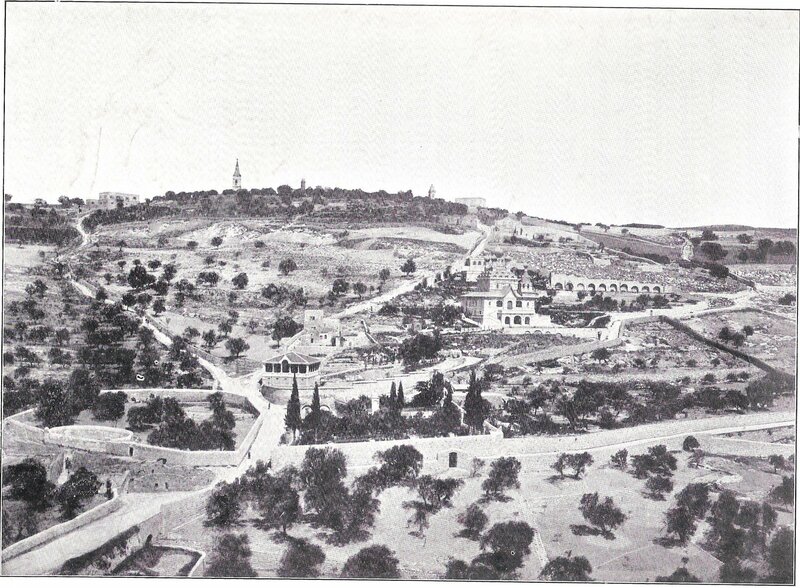 Mount of Olives (before 1899). Public domain. As He was sitting on the Mount of Olives, the disciples came to Him privately, saying, “Tell us, when will these things happen, and what will be the sign of Your coming, and of the end of the age?” (Matt 24:3). In recent posts we have looked at how Jesus answered the first two of these. From verse 34 onwards He is talking about the end of the age. And the first thing to say is that no-one knows when that will be. “But of that day and hour no one knows, not even the angels of heaven, nor the Son, but the Father alone. For the coming of the Son of Man will be just like the days of Noah” (Matt 24:36-37). So if you come across any books, blogs or articles telling you when it is going to be, don’t even bother with them. There is nothing and no-one that can tell you. And Jesus says that not even the Son knows. Now of course Jesus knows, but as the Word of God He has not revealed it anywhere, not the exact day and the hour. We are not supposed to know the specific time, and there is a reason for that. Every single believer, from that time on, needs to live as if it is the last day. It could happen today. Then we will be ready. Jesus told the story of the wise and foolish virgins to illustrate that point; the parable of the talents, too. He wanted to warn us not to be found to have wasted our talents when the Master comes. We need to be prepared; we need to live in readiness not in complacency. What we are permitted to know is what the times will be like when that day comes. It will be like the days of Noah, and we have already seen how that involved Nephilim, widespread evil, and pollution of the human DNA. Those times will come again, and the church must face them with authority and power. “Do not marvel at this; for an hour is coming, in which all who are in the tombs will hear His voice, and will come forth; those who did the good deeds to a resurrection of life, those who committed the evil deeds to a resurrection of judgment” (John 5:28-29). Jesus said there would be a day of resurrection and judgment for everyone. When? On what He called ‘the last day’. “For this is the will of My Father, that everyone who beholds the Son and believes in Him will have eternal life, and I Myself will raise him up on the last day” (John 6:40). Now there is something fundamental we need to understand about the last day: it is the last day. There are no days after it. So when Jesus comes and raises people from the dead, that is the end. There are not 7 years afterwards, not 3½ years, and not 1000 years. The clue is in the name: it is the last day. And this also emphasises why Jesus will remain in heaven until every prophecy has been fulfilled, and does not come to fulfil them. There is no time for anything to be fulfilled after the last day. ‘…and that He may send Jesus, the Christ appointed for you, whom heaven must receive until the period of restoration of all things about which God spoke by the mouth of His holy prophets from ancient time’ (Acts 3:20-21). I know that is not what is taught: the fulfilment of prophetic promises is routinely put off to a different age, or a different people. The truth is that the church has access to all the promises in order to see to it that the kingdom fills the earth. The alternative is the eschatology of defeat and failure we have looked at before, which only robs us of our position of power. ‘For as in Adam all die, so also in Christ all will be made alive. But each in his own order: Christ the first fruits, after that those who are Christ’s at His coming, then comes the end, when He hands over the kingdom to the God and Father, when He has abolished all rule and all authority and power. For He must reign until He has put all His enemies under His feet. The last enemy that will be abolished is death’ (1 Cor 15:22-26). The end is the end. At that point Jesus hands over the kingdom to God the Father. No more kingdom, no 1000 year rule, just the end. This scripture expressly tells us there is no more rule, authority or power after the end. They are all abolished. Jesus reigns until then, and He reigns through us. Death too is abolished when Jesus comes, and everyone goes on to eternity, with or without Jesus. Hello Mike.. enjoy reading your insights.. I am wondering how you bring Revelation 20 into the picture? It seems to say there is a literal 1000 year reign with those who had been beheaded because of the testimony of Jesus and the word of God. these who are “blessed and holy” are part of the first resurrection.. reign on earth with Christ for the thousand years.. after this Satan and death are destroyed.. then the great white throne judgment.. then time ends! Please excuse me if I respond on Mike’s behalf. 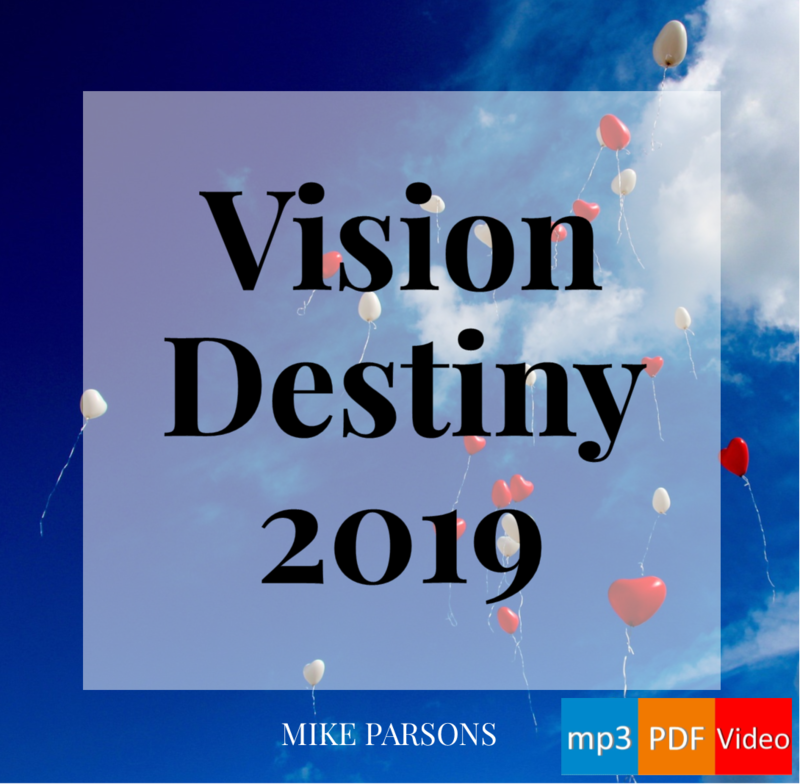 This post is part of a series, based on teaching Mike brought to Freedom Church over a number of weeks. In the posts Millennium? What Millennium (parts 1 and 2), and especially ‘A Literal 1000 Years? Mike summarised his understanding of the passage you mention. In conversation with him recently he has suggested I should point people towards ‘Raptureless’ by Jonathan Welton (which you can read free of charge in full on the web), which is a very thorough explanation of the position we hold to at Freedom.I hope that goes some way towards answering your question. Next Next post: 65. Left Behind?